View the entire table of contents for the Sept. 30, 1997 issue. September 30, 1997 A Cut Above California sends skilled vineyard workers to Europe to help with vineyard conversions Armed with vineyard skills honed in Northern California, a team of six Mexican vineyard workers spent two months this summer grafting new grape varieties onto existing vines at châteaus Cantemerle and Carbonnieux in Bordeaux. 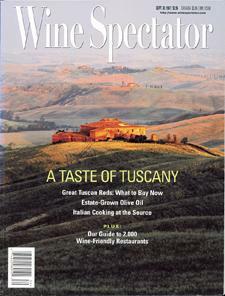 For the full article, check out the new issue of Wine Spectator, on newsstands September 30, 1997.